Vega Vitamins has a wide range of products that promote a holistic approach to health and good living and pays close attention to diet, exercise and emotional health. Vega Vitamins roducts are manufactured to help maintain a high level of purity that may be suitable for whatever need and whichever lifestyle. 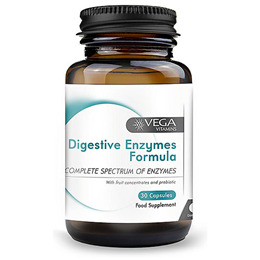 Below are reviews of Vega Vitamins Digestive Enzymes - 30 Capsules by bodykind customers. If you have tried this product we'd love to hear what you think so please leave a review. 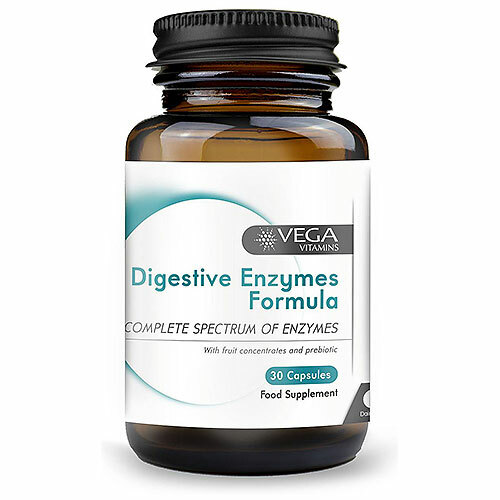 Vega digestive enzymes formula provides a combination of enzymes that may help in the breakdown of foods such as fats, proteins, starches and fibre.